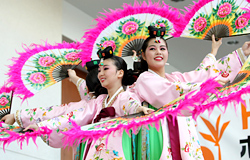 Members of this group hope to promote the spirit of the traditional Korean arts and to perpetuate it through future generations. Members of this group hope to promote the spirit of the traditional Korean arts and to perpetuate it through future generations. 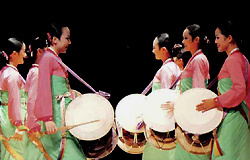 We bring along our friends, Rainbow Korean Music “Nong-Ak’ Group, Halla Huhm Dance Studio, Myong Woo Dahn, Christ United Methodist Church Team, and Eun-Sun Jung Korean Dance Studio.